hrough a telemetry add-on, the RECON2000T allows for remote pump control and monitoring. The innovative control panel allows for pump operation and performance supervision from a smartphone, laptop, desktop computer or other devices with Internet access. 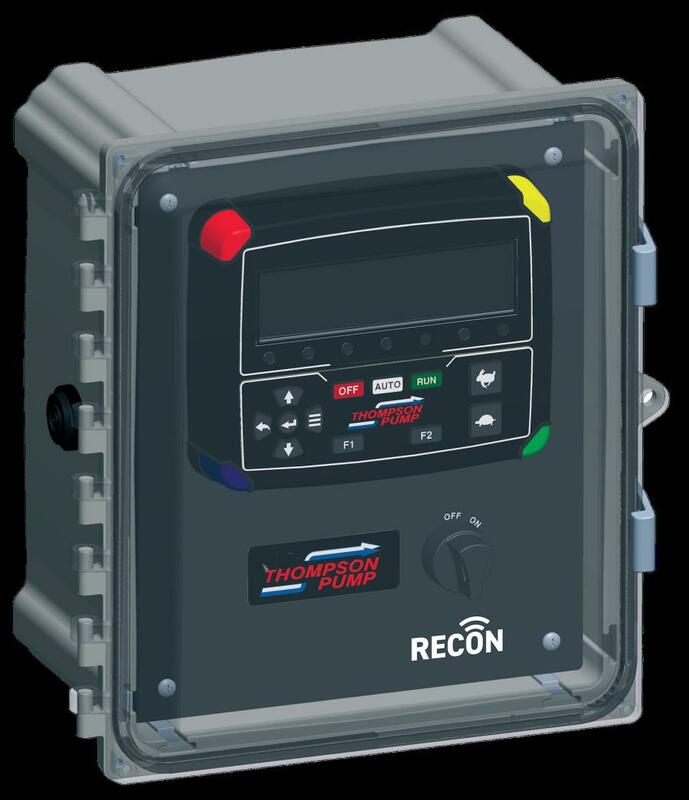 Thompson Pump's new RECON2000T control panel with enhanced interactive technology will be featured at WEFTEC 2017, the world's largest annual water quality technical conference and exhibition held Oct. 2-4 in Chicago. Thompson Pump manufactures top-quality pumps and related equipment, and provides engineering expertise for dewatering operations for construction, municipal/public works, bypass and emergency applications. Through a telemetry add-on, the RECON2000T allows for remote pump control and monitoring. The innovative control panel allows for pump operation and performance supervision from a smartphone, laptop, desktop computer or other devices with Internet access. Thompson Pump will hold daily on-site demos showcasing the new technology with a live video feed of a Thompson pump thousands of miles away in Port Orange, Fla., being controlled by the panel. The RECON2000T utilizes cellular and satellite networks for a secure and reliable connection in even the most remote locations, and is also available with Wi-Fi. It gives operators informational access and control over the pump unit with the ability to remotely monitor the unit, record data and vary speed. The dashboard displays the same pump and engine data as it appears on the RECON2000T control panel on-site. If there's a problem with the pump or engine, the RECON2000T can even be set up to notify you on your smart device. For more information, visit www.thompsonpump.com.